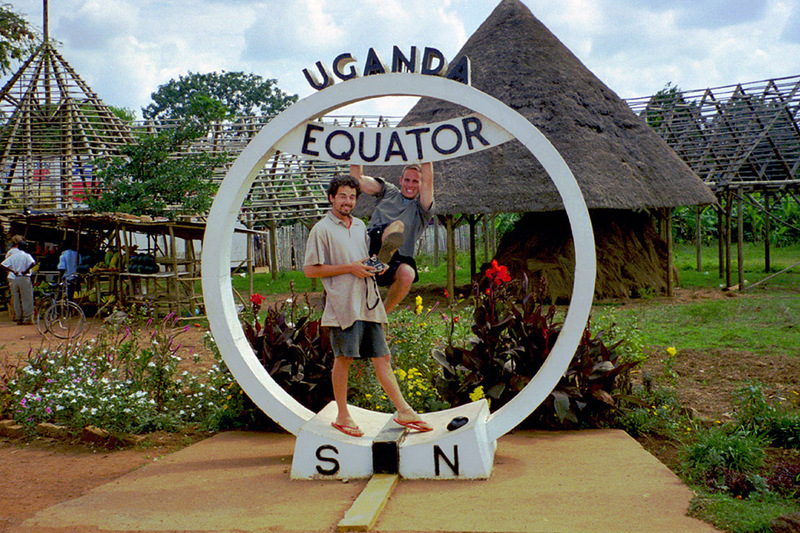 Uganda travel photos — Hey Brian? This week of my life was filled with many hopes an inspirations in addition to meeting a lot of great people. The drive to Bwindi Impenetrable National Park went smoothly. Well, as smooth as a Central-east African highway could afford. Of course I had brief stomach pains reminding me of the greasy samosas we wolfed down at the Hot Loaf in Kabale. The drive to the park, 91 K’s on dirt, was fun. Entrance to the park $40.00 US was a frustrating blow, but gave us unlimited time. Ultimately, though, it was quite a fair price. Our timing was impeccable. All the 100 person, two week waiting list rumors proved false, as the four of us became fifth through ninth on the waiting list. We set up camp in a banda. Noting that we are now in a rain forest, I expect to get wet, but anything is worth a chance to see the gorillas. Afterall, we’ve come all this way. The next several days seems a blur. I remember getting extremely upset with Todd because of his unwillingness to discuss future plans, mainly, my wanting to spend ample time in Malawi. Chris is flying to Harare on the 12th of August, and Todd’s needing to be back in November for Ryan’s birth. I take a walk by myself. I wanted to relax and think things through. The next morning, after meeting a nice couple from Maui—the Hymen’s—I trip out again because Mr. Hymen comments about how great Malawi is. What should be a month in a great country is seeming to become a speed chase similar to the Moyali/Isiolo segment. Ahh. I don’t talk to Todd for two days and give him dirty looks. Amongst all this, we meet two English girls. Helen & Kate. They are delightful and take all my frustration from Todd’s incommunicable tendencies. We play hearts together and go on several hikes. Helen is really cute, but she has a friend elsewhere, and Greg flirts with Kate in the strangest fighting way. He translates this as attraction; I just shrug me shoulders in confusion. We decide to take another hike with Amis. 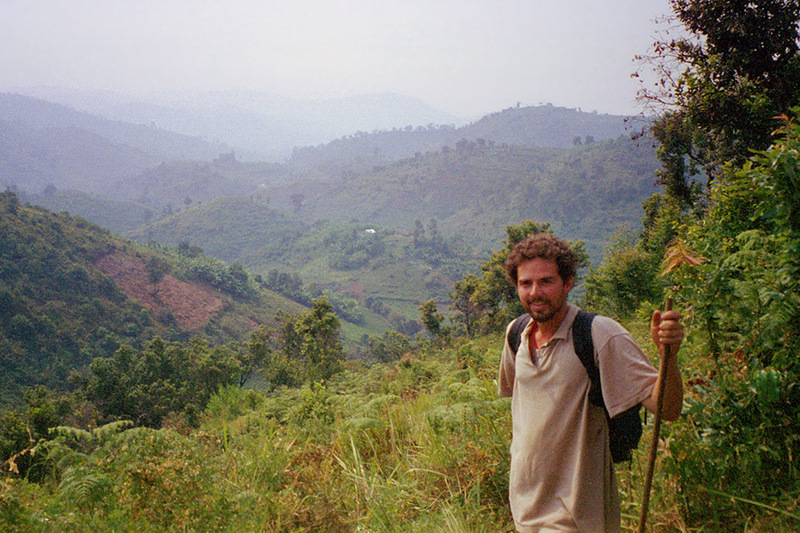 We hike into the Congo, former Zaire for a while. Awesome, but we meet no Congoman. Before we arrived to Jinga, we had been driving down the road from Kampala, and on the way we stopped at an authentic chicken stick stand where Todd and I each gulped down two chicken sticks and a lemon Marinda. Good. Before that we stopped at the Stanbic Bank to pick up obsolete coins from our bank friend. Before that, I drove relentlessly through downtown Kampala traffic, nearly avoiding the many moving obstacles that threatened the safety of our mission. Before that, I drove towards Kampala from Entebe while stopping off at a wood market. The price being too much, we refused to do business. Now I wish we had. For lunch I found a great local place where I ate some stewed chicken, rice, potatoes, and cabbage. We ended up buying some hot sauce from the waitress. Before that we drove aimlessly trying to find a good place to eat, preceded by our paying USh200/- for entry to the Entebe Gardens. And before that… Lake Victoria—a life long goal. Before that, and after convincing Todd to join us on the L.V. 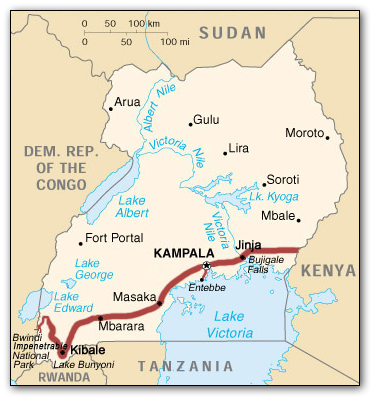 mission, I drove courageously down the road from Kampala to Entebe and before that I awoke. Jinga is famous for several things which I won’t mention, but what did it for us was our trip down the Nile with a South African group — Nile River Explorers. We rafted down eight big rapids, two of them class 5: Bujagali Falls and the Silverback. We actually didn’t flip the whole time, but we still spent a lot of time floating down the Nile with our bodies in the water. It was so relaxing! I love river floating. Afterwards, our guide, Pascal, forces us to shoot a shot of local liquor for every mistake he feels we made while afloat. Anyway, hicup, five or seven shots later, I am rapping with some locals and everyone piles in the Range Rover and we speed down the road rocking and rolling like a boat. The countryside of Uganda passing by like a sped up silent film in Disneyland. That night I drink more beer, play pool with a guy that looks like Nojan (my roommate as a freshman in College) and cuddle with this girl and a red-tailed monkey. Later on, I find out that this girl is a conservative lobbyist from Texas so I dump her, grab my guitar and jam for a while the monkey wrecks havoc with the dog, the empty beer bottle and every other object in the three dimensional world we live in. It is at this moment that I realize that I never want to look after a monkey. I thought puppies were trouble, well puppies only get into trouble on a two-dimension plane. Add the third dimension, the z-axis, and you have a monkey. You really can’t imagine unless you see one in action. 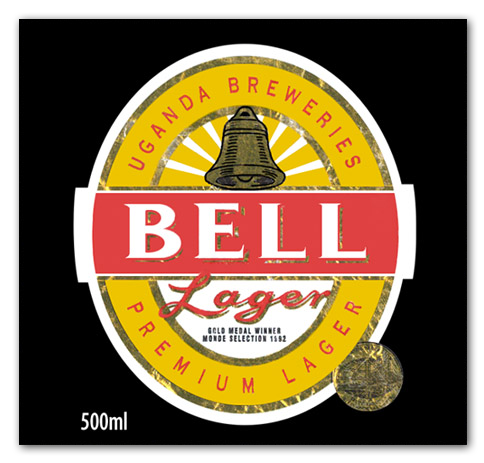 In Uganda, you get a deposit back for every empty glass bottle you return. The Nile River Explorers never returned a glass bottle.